One of the most fun things about the John Wick universe is the way it is slowly building an elaborate lore to populate its world of wacky intense assassins. In this featurette, we get to explore one of the centerpieces of that lore: the Continental. Ah, Vegas. The place to go if you want to bet on your favorite sports game or favorite murder-happy TV show. Anker’s EufyCam home security system was a Kickstarter sensation, raising over $3,000,000. And now that the new version is available to all, you can get the 1-camera starter kit for $200 with promo code SEREUCA6, or the two-camera kit for $100 more with code SEREUCA2. After at least 207 people were killed and over four hundred more were reported wounded after a series of bombs went off at Easter services and hotels in Sri Lanka, the Sri Lankan government has moved to block access to Facebook, TechCrunch reported on Sunday. USB-C PD chargers keep getting cheaper and more powerful, and these deals from RAVPower take things to a new level. Donald Trump and his administration have lost in court about 40 times since they began reversing former President Barack Obama’s environmental policies, according to The New York Times. Avengers: Endgame isn’t just the end of a major epoch in the MCU, it’s a culmination of a decade’s worth of movies. To reflect that, Fandango’s Movieclips has mashed up Endgame footage with dramatic moments and trailer clips from almost all the movies that came before. 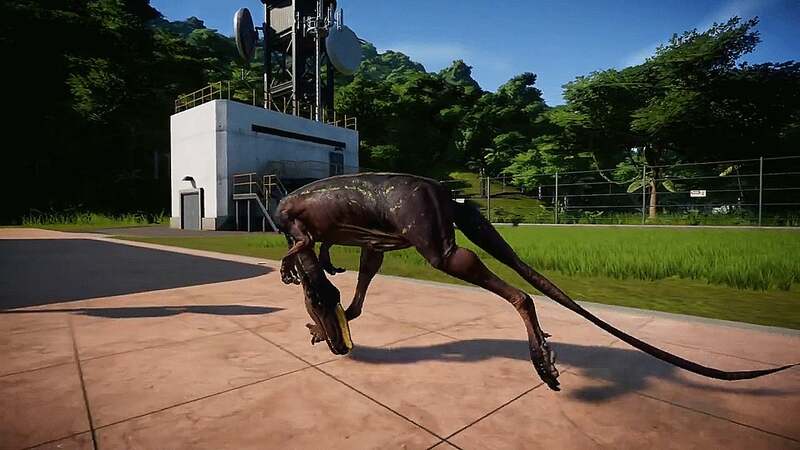 The newest DLC was recently released for the park building game Jurassic World Evolution. This new update included some new features, like a photo mode for consoles, but more importantly, it added some new dinosaurs. But one of these new dinos is a bit broken. Download Marie Kondo’s book for $3, grab a new cooler for your next beach trip, save on an Echo Show with a free Hue bulb, and more. It’s the best time of year to get outside, and these folding Coleman chairs maximize your comfort whether you’re at the beach, at a barbecue, watching your kid’s soccer game, or tailgating in a parking lot. PayPal and GoFundMe have banned a far-right group, the United Constitutional Patriots (UCP), that was recently reported to be posing as law enforcement to round up migrant families at gunpoint at the U.S. border with Mexico before handing them over to Border Patrol officials, BuzzFeed News reported on Friday. The best, and most famous, Game of Thrones superfan is, of course, Leslie Jones, who has been teaming up with Seth Meyers ever year to go absolutely wild over new episodes of the show. This time, she’s watching the final season premiere of the show, and it is a treat. For years, artist Robert Ball has made posters that commemorate the majesty of death. With the support of HBO itself, Ball has been creating posters in a series called “Beautiful Death”, with each original illustration bringing rich artistry to the depiction of one death from Game of Thrones. Butcher Box usually dangles free meat in your face to get you to sign up for their protein delivery service, but for one week only, they’re giving away the pan you need to cook said protein instead. The Food and Drug Administration warned the public not to attend a “miracle cure” event being thrown by group using the name Genesis II Church of Health and Healing in Leavenworth, Washington on Saturday, noting their supposed medical marvel is a highly toxic substance.